FCA just can't catch a break. 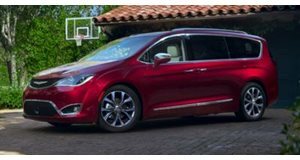 FCA was extremely excited to start selling the Chrysler Pacifica Hybrid. This plug-in minivan can achieve 84 miles per gallon equivalent, which is class leading for the minivan segment. Only the Tesla Model X (which isn't really a minivan) can even come close to the Pacifica Hybrid's economy figures. Unfortunately the momentum for this model just took a big hit because of a voluntary recall from FCA. According to Inside EVs, the Pacifica Hybrid has had a bumpy road to reaching customer's hands, and the car has now hit yet another snag. The first snag came in the form of quality control delays. Production of the hybrid began in November, but deliveries only started this spring. This isn't the first time that we've seen a new FCA product get delayed. The Alfa Romeo Giulia was constantly delayed, much to the detriment of enthusiasts. The Pacifica Hybrid now faces its second hiccup in the form of a recall. Luckily, there haven't been that many deliveries yet, so only 1,677 cars will be recalled in the US and Canada. The problem lies with the car's advanced hybrid system. Owners have reported issues with the diodes in the battery that can function improperly. This causes a loss of propulsion. That basically means that when a driver puts their foot down to accelerate, there is no power. This may not sound too bad because drivers can just pull over to the side of the road. Unfortunately, if this happens on the highway it could be very dangerous. Luckily, there are no reported injuries or deaths because of this issue. CNET reports that Chrysler has not announced a fix yet, but the company will announce a standard recall procedure soon. It's a shame that FCA keeps having problems with its ambitious products. A hybrid minivan may not sound exciting for enthusiasts, but it is an interesting car and we would like to see FCA iron out the issues.